The post Reid Graves appeared first on Horan & McConaty. The post Edward Reid Graves appeared first on Horan & McConaty. 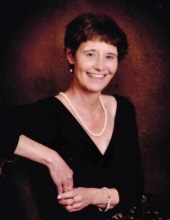 Jacqueline Johnson, 82, of Pueblo, passed away on Aug. 18, 2018. Celebration of Life at 3 p.m. on Aug. 30, 2018 at Southern Baptist Church in Rockvale at 640 Oak Ave. Online condolences, www.imperialfunerals.com for the Johnson family. Joe Mattie, 89, of Pueblo, passed away on Aug. 20, 2018. At his request, cremation has taken place with no services. Gilbert S. Cortez, 88, passed away Aug. 24, 2018. Service, 11 a.m. Thursday, Aug. 30, at Holy Family Catholic Church. Full obituary to follow. Arrangements made through Imperial Funeral Home.